Like, Tweet and Follow us! Happy Easter and Passover from our family to yours. Here is the inside scoop on what an actual CoolSculpting® treatment feels like! CoolSculpting®, is a solution that gently freezes away fat cells and requires little to no downtime? Now, that’s COOL! We are so proud to introduce EltaMD an all physical sunscreen carried only by approved physicians and medical spas like Laser Lounge Med Spa. It is also the #1 dermatologist-recommended professional sunscreen brand and recommended by the Skin Cancer Foundation. Anyone who purchases an EltaMD product this month will receive a free EltaMD travel size moisture-rich body creme and foaming facial cleanser. *Not valid with any other offer. Limit one per customer. 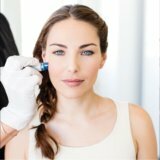 Take your HydraFacial to the next level with our medical & corrective boosters. These boosters are great for lightening, brightening, redness, inflammation, and also stimulate cell & collagen production reducing fine lines & wrinkles. 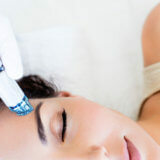 Take your HydraFacial to the next level with our medical & corrective boosters.